Robert Bryant has been a Swing dance enthusiast for over forty years. He established the United States Swing Dance Council and helped establish West Coast Swing as the State Dance of California. He and others are responsible for bringing the East and West Coasts together. He is one of ten people who established the Greater Phoenix Swing Dance Club and the 4th of July Convention of Phoenix. Since that time, he has helped many clubs and conventions get their start. 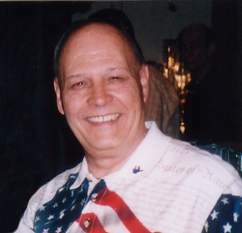 Robert’s efforts to promote Swing have been honored by the Michigan, Seattle, Phoenix, Denver, Texas, California, Missouri, Oklahoma, and numerous other Swing organizations. Teacher, adjudicator, coach, choreographer, and dance theorist for three decades, Robert Bryant has helped many Swing and National Ballroom dancers improve their dancing. He has conducted seminars on teaching and judging. He has his teaching certification from the National Council Dance Teach Organization “NCDTO” (now called The National Dance Council of America, “NDCD”), plus the Terpsichore Association “USTA”, the Golden State Dance Teacher Association “GSDTA”, and many more. His certification of instruction is at all levels of American dances and a few International dances. He specializes in West Coast Swing and Latin dances.